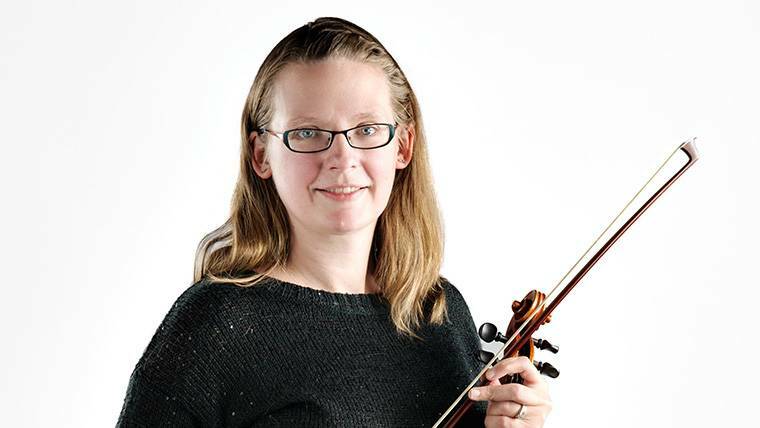 Sara AboZena has been performing musician in eastern Iowa since her graduation in 2000. AboZena grew up in Cedar Rapids, and some surprise turns in life brought her back home. When she’s not playing, she has a full time job and looks after her children. Coming back home to the paramount after the flood. I had my first dance recital on the paramount stage in the spring of 1981. I started in fifth grade. Violin was too high and bass was too low. I liked viola or cello. My friend next door played cello and my mother told me I only wanted to play cello because she played it. To prove her wrong I took viola. Turns out I liked it I guess. Veterinary work of some variety or an ultrasound technician. I love my pets, and who wouldn’t love looking at tiny babies all day? Coke zero for my husband, gogurt for my son, and ketchup. I love to cook, so the rest is constantly changing.